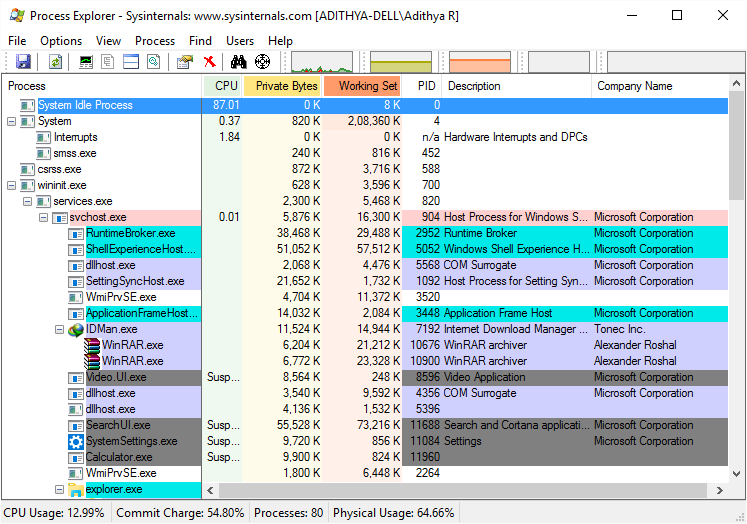 Process Explorer is a lightweight and portable advanced process management utility that picks up where Task Manager leaves off. The app will show you detailed information about a process including its icon, command-line, full image path, memory statistics, user account and security attributes. It is a much, much more advanced version of the task manager. Process Explorer allows you to zoom in on a particular process. You can list the DLLs it has loaded or the operating system resource handles that it has open. The top always shows a list of the currently active processes, including the names of their owning accounts, whereas the information displayed in the bottom window, depends upon the mode that Process Explorer is in. 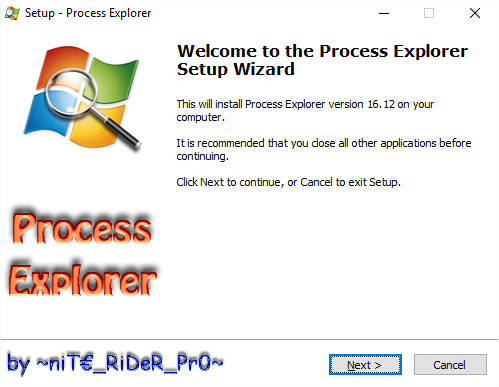 If Process Explorer is in handle mode you will see the handles that the process selected in the top window has opened, but if Process Explorer is in DLL mode you will see the DLLs and memory-mapped files that the process has loaded. The unique capabilities of Process Explorer make it useful for tracking down DLL-version problems or handle leaks, and provide insight into the way Windows and applications work. It is a must-have utility.